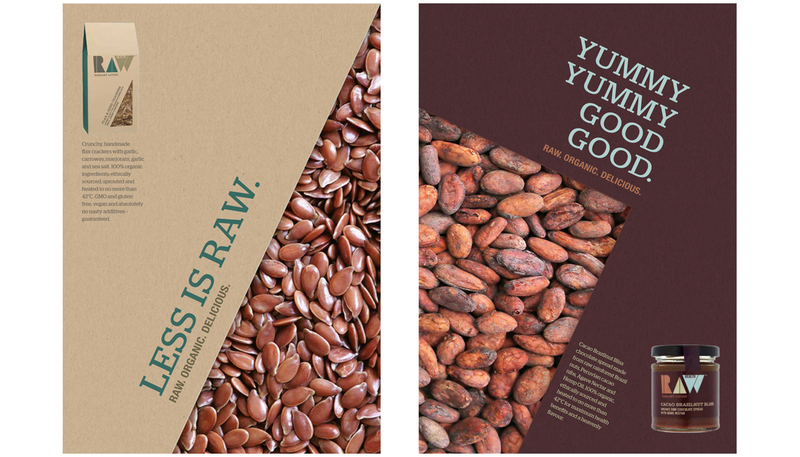 Press advertising campaign for high-end health food range, Raw Health. RAW. ORGANIC. DELICIOUS. Responsible for: concepts and copywriting. 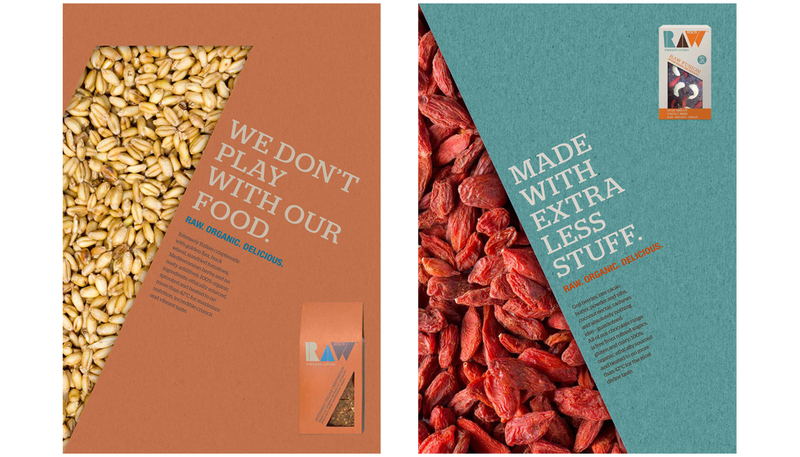 Raw Health advertising campaign – concepts and copywriting. If you prefer your food in the raw, untampered and as healthy as possible, Raw Health has a fantastic range of products. They make everything from speciality chocolates to crispbreads, cakes, oils and spreads. As part of Windmill Organics, Raw Health use only the finest quality, non GMO and ethically sourced produce in their recipes. They use organic ingredients and wherever possible, they soak and sprout them for maximum health benefits. As little processing as possible is used in the manufacturing process and they cook at low temperatures to maintain the nutritional properties of their top-quality ingredients. This commitment to simplicity is echoed in a press campaign featuring close-up shots of ingredients and headlines that underline the purity of the brand.